CIA Director Leon Panetta recently testified to Congress that the agency concealed information and misled lawmakers repeatedly since 2001, according to a letter from seven House Democrats to Panetta made public Wednesday. The letter to Panetta, dated June 26, was published on the Web site of Rep. Anna Eshoo, D-California. “Recently you testified that you have determined that top CIA officials have concealed significant actions from all members of Congress, and misled members for a number of years from 2001 to this week,” said the letter, signed by Eshoo and six other House Democrats — Reps. John Tierney of Massachusetts, Mike Thompson of California, Rush Holt of New Jersey, Alcee Hastings of Florida, Adam Smith of Washington and Janice Schakowsky of Illinois. Read the signed letter on Rep. Eshoo’s Web site The letter contained no details about what information the CIA officials allegedly concealed or how they purportedly misled members of Congress. On February 11, 2003, CIA Director George Tenet told a Senate committee that U.S. intelligence indicated al Qaeda planned to attack targets in the United States and in the Middle East, perhaps with chemical weapons or radioactive materials. On May 15 of this year, House Speaker Nancy Pelosi accused the CIA of misleading Congress in a secret briefing she received in 2002. Pelosi said the CIA failed to inform her and others at the briefing about harsh interrogation techniques being used on terrorism suspects. The CIA responded that Pelosi was told about the harsh techniques, including waterboarding, at the classified 2002 briefing. However, the June 26 letter from the seven House Democrats noted that Panetta told CIA employees in a letter dated May 15 — in response to the Pelosi allegation — that it was not CIA policy to mislead Congress. “Let me be clear: It is not our policy or practice to mislead Congress. That is against our laws and values,” the House Democrats quoted Panetta’s letter as saying. The letter from the House Democrats asked Panetta to correct his May 15 statement “in light of your testimony.” Asked about the Democrats’ letter, CIA spokesman George Little said Panetta “stands by his May 15 statement.” “This agency and this director believe it is vital to keep the Congress fully and currently informed. 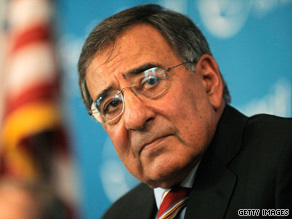 Director Panetta’s actions back that up,” Little said in a statement. “As the letter from these … representatives notes, it was the CIA itself that took the initiative to notify the oversight committees.” The Democrats’ letter became public the night before the House is scheduled to vote on an intelligence spending measure that includes a provision to expand the number of House and Senate members privy to the kind of secret briefing that Pelosi received. The White House opposes the provision to expand the number of briefing participants from the current eight to 40 members of Congress. A White House memo warned President Obama’s senior advisers would recommend a veto of the bill if it contained the expanded briefing provision.